Between bagging the Padma Shri and making it to the cover of National Geographic, Shahrukh Khan also played muse to high art. He was the subject of a new series of paintings by Anjana Kuthiala. 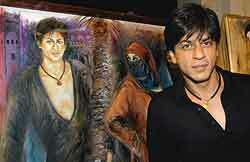 srk was surprised at this unusual tribute and promised to put up one of the paintings at home. This inveterate celebrity painter is on to her next big-time inspiration—the Gandhi family. Now, that’s art of politics. 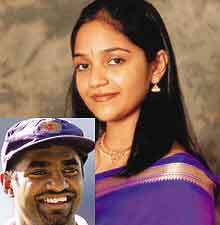 The lone Tamil in the Sri Lankan team Muthiah Muralitharan has met his match in a Chennai girl, Madhimalar Ramamurthy. It is an arranged affair, complete with a “girl-seeing” photo and horoscopes. Incidentally, Murali’s family trace their roots to Tiruchi where they still run a hotel. The girl’s family own a hospital chain. Career has been Diana Hayden’s motto. She broke up with her boyfriend Usman Afzal in England and returned to pick up her Bollywood dreams. 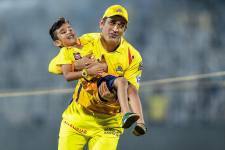 But the lovesick English left-arm spinner said Ab Bas and followed to weave his magic on the former Miss World. Well, given her career graph, she desperately needs all the magic. 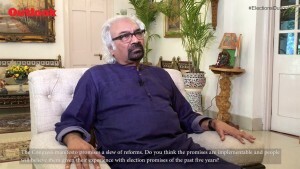 Trust Khushwant Singh to bring a ‘dead’ issue alive to provoke debate. This time, the issue happens to be death itself. That’s how things went at the launch of his latest work, Death at my Doorstep: Obituaries, in the capital. 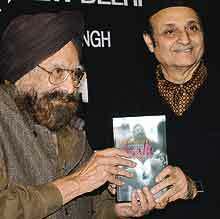 While scholar-politician Karan Singh invoked the Hindu belief in the soul’s reincarnation, the grand old man, still agnostic at 90, countered with his oft-stated death-is-the-end argument. That’s a never-say-die spirit! What do actors Konkona Sen Sharma and Prasenjit, filmmaker Rituparno Ghosh and writer Taslima Nasreen have to do with cricket? Last week, it was more than to lend glamour to an event organised by skipper Saurav Ganguly—the release of books written by Gautam Bhattacharya, the sports editor of Ananda Bazar Patrika, about his helmsmanship of some recent cricketing highs: the ’03 World Cup, India-Australia series and the tour of Pakistan. “These are the greatest landmarks in Indian cricket since ’83 World Cup,” says Bhattacharya of his unabashed praise for the skipper. Ganguly-baiters, take that! Now aren’t you relieved to have the old Aamir Khan back— minus his Rising tresses and mutiny mooch? He initially wanted to retain the look till the release of the film. But the shooting schedules for Rang de Basanti forced him to give in.